Is this film any good? Do Bella, Edward and Jacob once again drown in a treacly sea of teen romantic angst? Does anyone care? Twihards – as the devotees of Stephanie Meyer’s glistening-vampire mythology call themselves – will have already devoured it. But there’s more here in Eclipse, the third film based on Meyer’s books, for the casual viewer. Finally the series has found an amusing balance between overwrought romance, action and a welcome dose of self-referential humour. Having calmly asked Bella (Kristen Stewart) to marry him at the end of the languorous New Moon, twinkling emo-vampire Edward (Robert Pattinson) arrives in Eclipse still waiting for an answer. Less mopey and more lucid than in the previous films, he’s clearer in his disdain of Bella’s insistence in joining his undead-ranks. 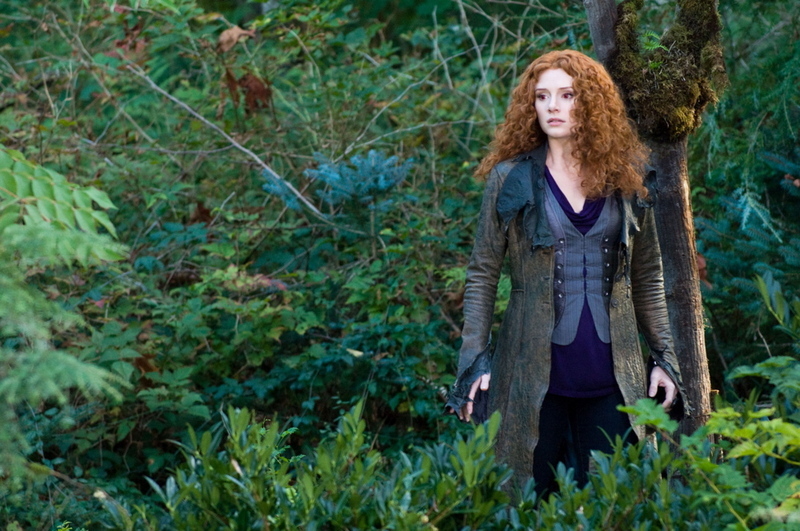 For Bella that transformation is inevitable – something, she insists, she must do to preserve their relationship. Once again, not only is the lead female character a meek proxy for the audience (and at one point has to be literally carried by the shirtless Jacob), but she’s not even allowed to express her sexuality. Much has been said of the Twilight books’ fascination with teen chastity, and what’s surprising about Eclipse is that these ideological simplicities don’t detract the story’s banal charm, even when its one akin to a trashy romance novel. In between the gooey eyes and declarations of everlasting love, director David Slade (Hard Candy, 30 Days of Night – a real director) juxtaposes flashbacks of the birth of the Cullen undead with the emerging threat of ravenous newborn vampires, who are lead by Victoria (Bryce Dallas Howard) and Riley (Aussie Xavier Samuel, The Loved Ones). Their presence provides a welcome excuse for more action even if it’s mired in messy and indistinct choreography. Finally, it feels like something is at stake, and the concurrent storylines bring welcome relief to the endless drone of overwrought-moping. Acting is all around improved this time, too. Pattinson and Lautner remain uninspiring thesps, but Kristen Stewart can still wordlessly hold a close-up as well as anyone [for non-believers: seek out her performance in Adventureland for a more realistic take on teen angst]. Eclipse is unlikely to create new converts but it’s an entertaining improvement on the previous films. Hope remains that Bill Condon finds a way of filming the final book, Breaking Dawn, which should be worth seeing for the birthing scene alone. Part I of that chapter rolls around on November 18, 2011, while Eclipse is currently in national release.